Pick n Pay is a national grocery first introduced in 1967. This retailer grown to a top grocery chain we came to know today. Pick n Pay believes in their African clientele and wants to see them grow to their highest potential. Baltic Amber for Africa is no different. We consciously care about the customer and want to help them. We do this by offering amber products to help deal with pain and infection. Having Baltic Amber for Africa’s products at Pick n Pay is a great fit, and we are excited to be there. 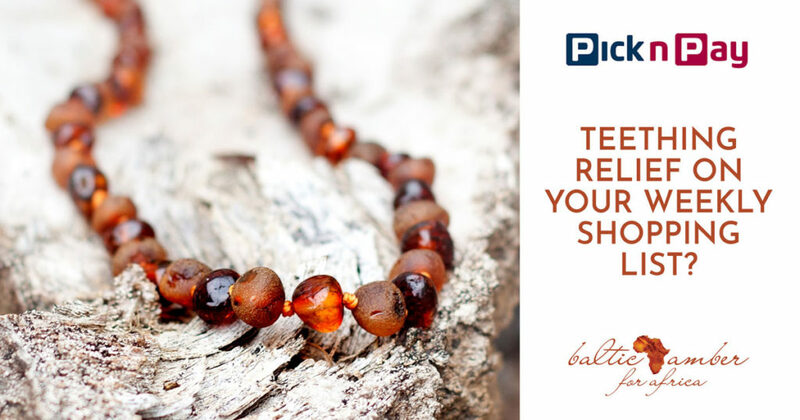 Pick n Pay Pharmacies now stock Baltic Amber for Africa products including the teething necklace at selected stores. You can find participating Pick n Pay stores here . This entry was posted in spotlight and tagged Baltic Amber Bracelets, Baltic Amber for Africa, Baltic Amber Necklaces, Baltic Amber Product, Natural remedies, Pick n Pay, Therapeutic Remedies.